Excuse Me Sir, Your Sausage is Poking Out…! I recently discovered that the budget supermarket chain Aldi does a range of chilled as opposed to frozen ready meals (“Fertiggerichte”). You just bung them in the microwave for a few minutes and hey presto, dinner is served. I know this is not a new idea – we Brits were the pioneers of TV dinners. What sets these apart is that each day a number of different options are offered. The portions are enough even for a larger size bloke like me, and they are quick, convenient, filling and above all, typically German. Oh, and the price is really good too. The selection of meals offered changes on a very regular basis. 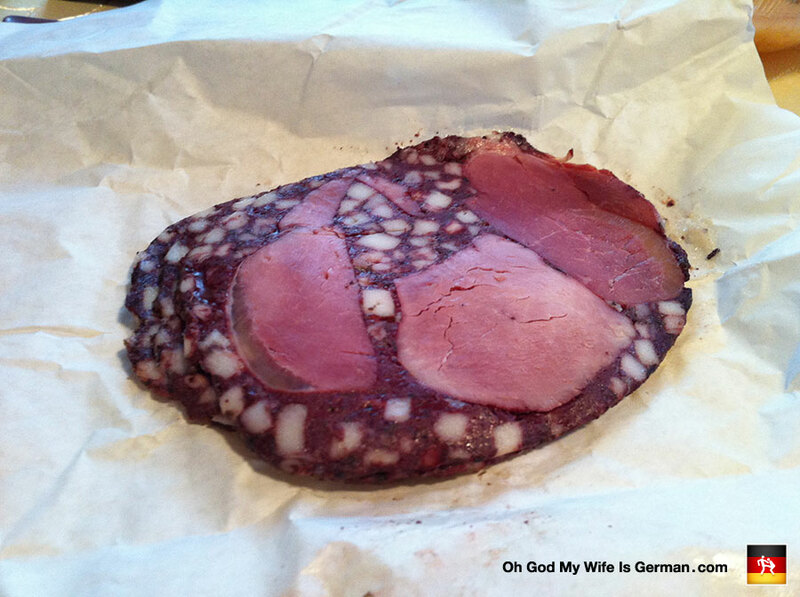 The picture shows gammon (“Kasseler”) and sausages which were very tasty indeed, although I did add the mustard myself! Other typical dishes include kale stew (“Grünkohl”), roast pork or turkey as well as the more regular dishes such as pasta and Bratwurst.